1. Busy people work hard. Productive people work hard and work smart. Busy people have great work ethics, which is why they are always busy. The problem is not that they don’t work hard, but that they don’t work smart. They work linearly without considering if there are better ways to do things. On the other hand, productive people focus on being effective first, then efficient. They are constantly looking for better ways to achieve the same outcome. When you’re efficient but ineffective, your upstream inefficiencies ripple downstream. 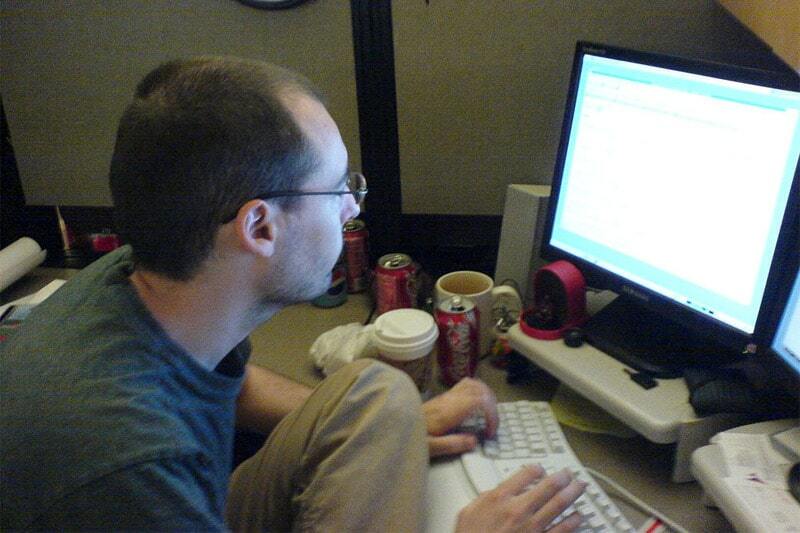 For example, editing videos on a slow computer means you are limited by its slow processing power. Even if you can edit quickly, you are limited by its processing speed. The effective step here is to invest in a new PC, not to optimize your editing. Or better yet, hire someone so you don’t have to edit at all. Or say you run a coaching business, dealing with clients around the world. Part of your daily to-dos involves coordinating with clients on appointment times and time zones. This creates a lot of back and forth because you need to check their availability, confirm time zones, and check your calendar when they reschedule. Being effective is when you use an automated booking service like Calendly or Acuity Scheduling so that your clients can access a booking calendar and schedule the appointments themselves. What tasks are you working on? Are these tasks necessary? Can you find a better way to do things? How can you improve your approach to 10X your productivity? In an online business, it doesn’t matter whether you pick template A or B if you are just starting out. Just pick one and go. Revise later when you get more insights. Until you test it, you don’t know what people would like. Same for writing your first blog articles — it doesn’t matter if your writing is not that great. Just write and learn as you go along! My work was not perfect when I started and it still isn’t! But that hasn’t stopped me from writing and publishing new posts, and growing my blog to what it is today. Of course, details are important. Steve Jobs was details-obsessed — he agonized over the way Macintosh windows title bars looked, going through 20 designs with his team before he was happy with the final output. He recognized that this is something the user would see every day, which was why he wanted it to be perfect. The key is to focus on details that will affect your end outcome. Perfect the things that will make a big difference to your end goal. For everything else, delegate, outsource, get the 80/20 in place, or remove them. You don’t need to do everything right — you just need to do the right things right. 3. Busy people let other people set their direction. Productive people set their direction and evaluate their progress against this direction. Even though society may try to sell you certain paths as the “right” choice, this doesn’t mean that they are right for you. Industries grow and shrink, and some industries become obsolete as technologies and markets evolve. For example, the shipping industry used to be a hugely lucrative career path in Singapore in the 1990s and 2000s. People often spoke about the huge bonuses and job prospects in this field. Now, it has dwindled as the local marine industry is facing severe job cuts and many marine companies have relocated overseas. Home-grown shipping line Neptune Orient Lines, which used to be wholly government owned (in Singapore, being “government-backed/owned” has the connotation of being unshakeable), got sold in 2015 at only S$1.30 a share, less than half of the S$2.80 paid to raise its stake in 2004. Instead of buying into what others try to sell you as the truth, think about what you want for yourself. What is your passion? What is your vision? Even if you can’t do this right away, you can work towards it. It’s more important to work towards what you want, even if slowly, rather than do something you hate for the rest of your life. 4. Busy people say yes to everything. 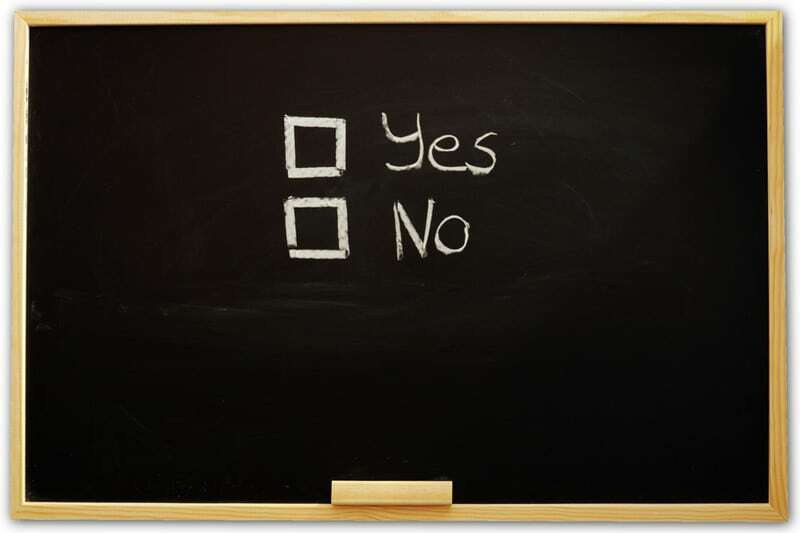 Productive people say yes/no choicefully. Busy people never say no: they say yes to everything. As a result, they fill their schedules with things that keep them busy but don’t change their life. Productive people say yes very choicefully. Why? 5. Busy people jump onto every trend. Productive people evaluate the pros/cons before doing something. In Singapore, food crazes are a national pastime. Every few months there is a new food in town, after which people go out of the way to try it, often queuing for hours, sometimes in the hot sun. There’s nothing wrong with following social trends if you’re doing them for sport. But understand that societal trends are largely market movements. When one trend is over, another will take its place. It never ends. Just because everyone is doing X doesn’t mean you need to follow suit. Consider its value rather than diving headfirst into every trend. The same applies to business trends. So every business has a mobile app today — so what? This doesn’t mean that you need to have an app. Consider its value in your business before deciding whether to get one. So Kindle Store is now a big ebook distribution channel — this doesn’t mean you need to sell your ebooks there. There are other considerations like whether it is a fit with your pricing strategy, the costs of making your ebook compatible with those devices, and administrative overhead of dealing with another distribution channel. Everyone has a blog today and claims to make money from blogging. But so what? Out of the people who claim to make money blogging, how many are not in the “make money online” space? (Clue: it’s less than 0.01% of the industry.) How many people really succeed with a blog? How would a blog fit into your career plans and life mission? These are hard questions to think about before jumping into a totally new field. Similarly, you may have a variety of news stories in your local newspaper, but what if these stories are nothing but carefully curated stories to convince you of a skewed narrative, how would reading these news daily open up your mind and forward you in your life? This is something to think about. How does this help me in my life? What are the pros and cons of doing this? Do the pros outweigh the cons? Is this something I really need, or is this just a want? In filtering out the noise, learn to recognize between a need and a want. Recognize the issue of FOMO (fear of missing out) and don’t fall into the trap of doing something just for the sake of it. 6. Busy people always have excuses not to work on their Quadrant 2 goals. Productive people make time for them. These are legitimate reasons if they happen once in a while. But busy people never have time. 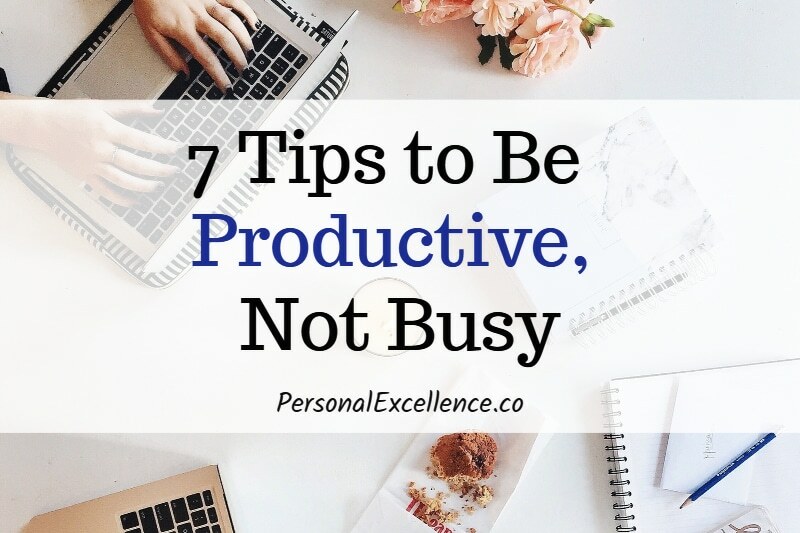 They always have a reason to put off their Q2 goals, which is why they are always busy — they are not able to rise above their “busyness” to become productive. Once I met someone who was very eager to join my passive income business course. He pulled out at the last minute, saying he was busy and had something else on. Now that’s fine except that he did this with two other runs of the same course, always saying that he was very keen to join, but suddenly backing out and saying he couldn’t make it. This was after I had already allocated a seat for him, hence denying someone else of the seat. This course would solve a huge pain point in his business. If you are always busy, consider this: What is time? It’s a construct to organize your life. Terms like “9am,” “12pm,” and “Monday/Tuesday/Wednesday” are meant for you to easily communicate and collaborate with others. What fills up your time is a result of what you let into your days. When you don’t choose, your days automatically get filled with to-do’s — other people’s to-dos. Even if you rigorously clear the stuff on your plate, there will always be new stuff that comes in later. Productive people understand this, which is why they never wait until they are “free” to work on their Q2 goals. They make the time for their Q2 no matter how busy they are. You will never have time for your Q2 goals if you wait until you are free. Make time for them. Q2 goals are goals that will make the greatest impact in your life. How about starting them now so that you can reap your rewards? 7. Busy people try to do everything themselves. Productive people use the rights tools and resources to help them. I used to do everything myself in my business, and it was a nightmare as running an online business became extremely complex. I was busy every day while not getting much done. When you’re doing a zillion little tasks, you get drained with no mental space to work on the high-level stuff. Hiring has its issues because you can get bad staff — people who can’t listen to instructions or people who keep messing up and you spend more time fixing the mess than doing it yourself. This doesn’t change the fact that we need to delegate while being choiceful about who we hire, because we can’t do everything alone. My approach towards hiring is this — if a task is not the best use of my time and it has a high recurrence rate, I’ll hire someone to take care of it. Some work I’ve outsourced before are graphic design, administrative work, and podcast editing. My favorite is Fiverr as you can hire someone very quickly at a good cost. Upwork and People Per Hour are suitable for more complex work. Getting help isn’t restricted to hiring. Getting the right tools and services is important too. Over the past few years, I have switched to paying for third-party payment cart systems, page builders, and course platforms. I used to build everything in-house and it became very painful as running an online business became extremely complicated. Using external tools and agencies have saved me so much time because I no longer need to worry about maintenance, things breaking, technology updates, etc. — I can just leave it to the specialists. I see this as delegating a part of my business to an external team for a recurring fee. What I save in time and mental energy is invaluable. We only have a limited amount of time a day. If a task is taking too much time and it’s not the most crucial part of your business, get others to do it. Research and talk to others to understand how they solved such problems. Consult people with the right expertise. Hire, delegate, outsource, or use a product/service that can complete it faster (and better) than you can. Don’t do everything yourself as two heads are better than one. Humans work better as a collective, not alone. We achieve more when we work with others, not in silos. At the end of the day, being busy is a nice escape because you don’t need to think. You can simply shut off your mind and just go through the motions. But to do so is to live an unconscious life, and that’s not what you want to be as a growing, evolving human being.